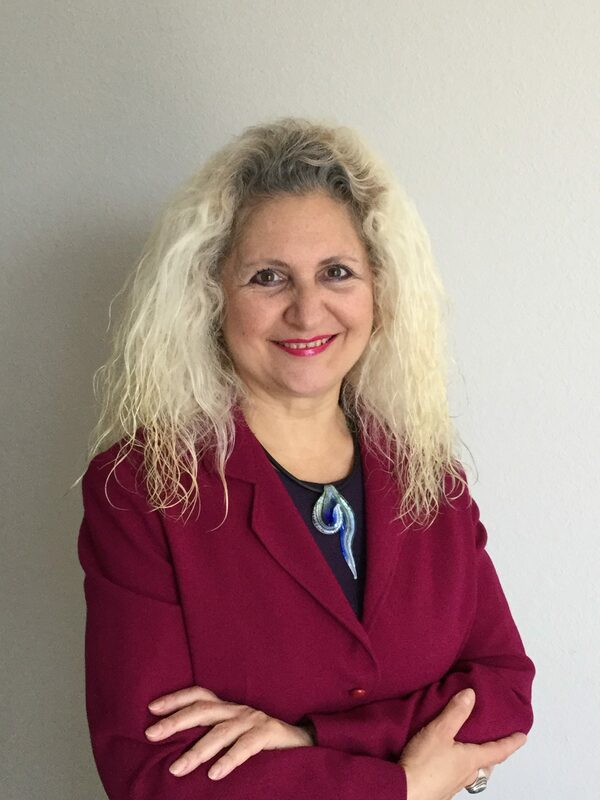 Maria Teresa De Donato, Ph.D.
An Educator and a great Motivator, Maria Teresa De Donato, Ph.D. has been coaching and inspiring people of all ages, ethnicities and walks of life along with businesses and organizations, both profits and not-for-profits, for more than 35 years both in Europe and in America. An active listener and an attentive observer of the human nature, she is fascinated by the relation between perception and belief system and their consequent impact on people’s lives at all levels. 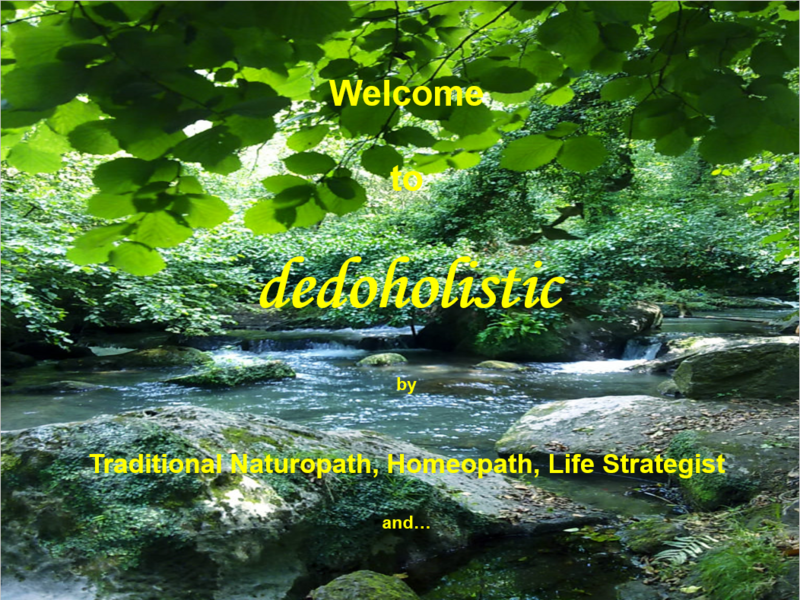 A Certified and Registered Traditional Naturopath, Classical Homeopath and Life Strategist, she holds a Doctoral, a Master and a Bachelor degree in Holistic Health; Certifications in Naturopathy, Homeopathy, Nutrition, and Herbalism; a Bachelor degree in Business Administration and Certifications in Anger Management, in Conflict Analysis and in Negotiation & Conflict Management. Extremely versatile and with an inquisitive and highly intuitive mind she always focuses on the identification of the root cause of a problem. An active Member of several professional organizations she is is also a passionate Blogger and the Author of several books. Whatever your problem, be it either health-related or else, she will create a customized program to help you renew your old way of thinking, through which you might have been sabotaging yourself without even realizing it, and finally, by reaching your full potential and ultimate goals, live a healthier, more balanced and rewarding life as you deserve. Thanks to her great love and passion for both study and research you can always be sure that she will recommend you the very best natural remedies and modalities to help you walk your path to optimum health whatever your problem or concern may be, including obesity, heart disease, diabetes, cancer, hypertension, allergies, asthma, arthritis, menopausal symptoms, stress, acute and chronic health issues, just to name a few. Chronic are problems that last two months or more (like arthritis, diabetes, migraines, depression, eczema, etc.) and may be caused by several factors including family history and environment. Though there is no guarantee that those sorts of health issues will disappear completely, most of them, if well managed, may lead to a normal life almost symptoms free through a change in eating and lifestyle habits. Maria Teresa De Donato, Ph.D. was born in Rome, Italy where she lived, studied and worked till the beginning of 1995 before relocating permanently to the United States. After graduating from the Technical Institute of Tourism “J. F. Kennedy”, Maria Teresa attended for two years the Faculty of Magisterium – Department of Modern Foreign Languages and Literature at the University “La Sapienza” in Rome, dropping out at the end of the second year while not feeling particularly motivated to pursuing her studies. At the same time she studied also journalism at Scuola Superiore di Giornalismo “Accademia”. Once in the US, Maria Teresa resumed her studies in journalism and graduated at the American College of Journalism. 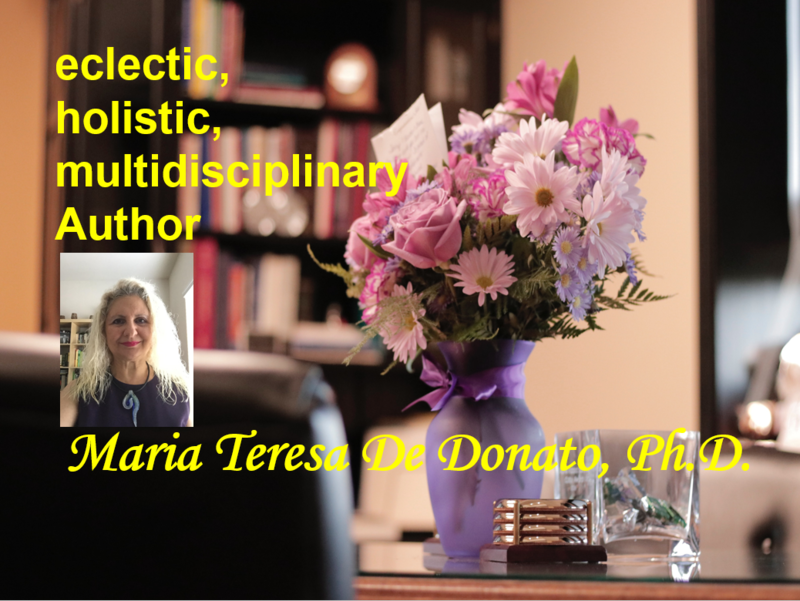 Her extremely versatile and eclectic nature, her great variety of interests and her holistic and multicultural approach not only to health but, even more so, to life itself enabled her over the years to publish works of different nature. Her first articles appeared on the school journal In Cammino (On My Way) while still attending elementary school. Later on she authored some poems, among which “Darkness”, “Ocean of Senses”, and “Night of Love”. The first two were published in the US by Cader Publishing on the anthology Etchings in 2000. “Ocean of Senses” obtained an Honorable Mention in summer 2000 and was published also on the anthology Ovations in summer 2001, obtained the President’s Award of Literary Excellence, and on the No. 13 of the Italian Magazine L’Etruria (08/15/2002), in the column dedicated to cultural topics. The Journal of International Wildlife Law & Policy (The ACCOBAM Project – The Agreement on Cetaceans of the Black and Mediterranean Seas and Contiguous Atlantic Areas) (Berkeley, California, USA), both non-profit organizations operating in the Environment and Wildlife Protection field.